You’ve probably heard alot about Valletta lately. 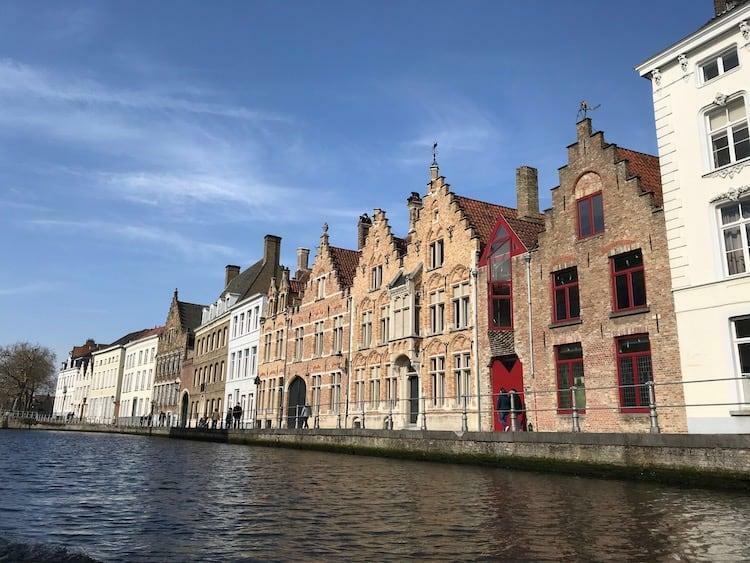 Thanks in no small part to the awarding of the ‘2018 European Capital of Culture‘ it’s been hitting all the ‘must visit cities‘ lists for the year ahead. But if you haven’t heard about it, then there’s alot on offer here. 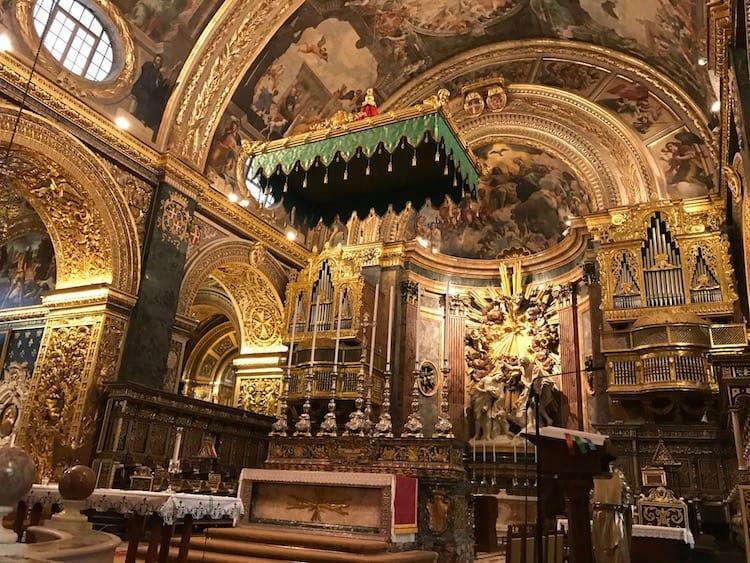 A UNESCO heritage site that has managed to stave off modern development thanks to its placement on a tiny peninsula Valletta is said to be one of the most concentrated historic areas in the world. And I’ve got some even better news for the time-starved travellers…. 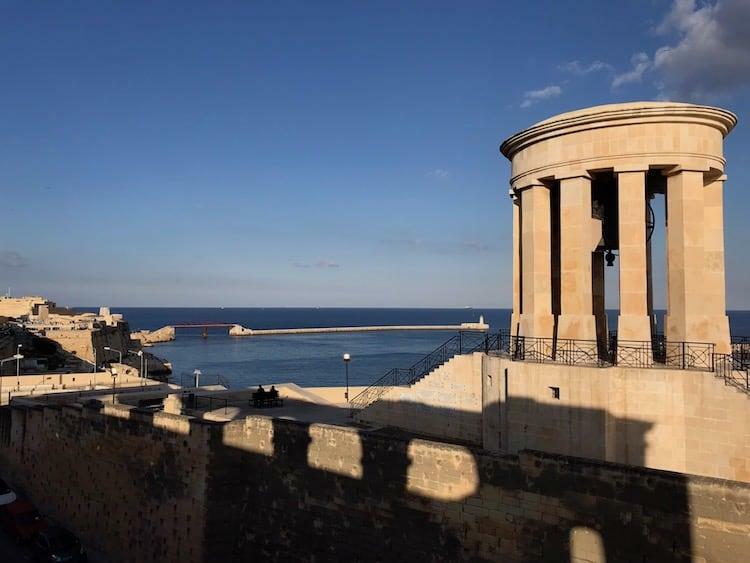 Being a small city you don’t actually need to spend alot of time in Valletta to appreciate what the journalists are telling you…. ….In fact we were there for less than a day, and got a good glimpse behind the curtain of this fantastic city. So if you’re tight on time but looking to find out the best things that Valletta has to offer then you’re in the right place…. Download a PDF copy of this page, and save to your phone for use on the move. Save the Google Map below so you can navigate on the go. Hit the ‘enlarge’ button on the top right, it will open in your ‘Google Maps’ app. If you then go to ‘Your Places’ and choose ‘Maps’ you will find it saved there for future use. Get a ferry over from Sliema to take in the skyline that’s not changed in hundreds of years. Take a train tour around the city. These go from outside St John’s Cathedral and will show you the highlights of the city. A bit silly, but great fun! Visit the grandeur of St John’s Cathedral. Take in the incredible hand-painted vaulted ceiling, magnificent decoration and rare works by Caravaggio. Head to Upper Barrakka Gardens for either 1200 or 1600 to see the canons fired and take in amazing views of the Grand Harbour and Three Cities. Just wander round, taking it all in. Valletta is so small that you won’t get too lost and you’re bound to find something exciting along the way. Make sure you look up so you see the best of the beautiful buildings including some stunning balconies and spires. 1) The entire city has been a UNESCO World Heritage Site since 1980 thanks to being one of the most concentrated historic areas in the world. Being on a small peninsula has preserved its integrity and stopped more modern building work taking place. 2) It has the lowest population of any European capital city (excluding the city states). 3) It is the third capital city that Malta has had with Mdina and Vittoriosa also having had stints. 4) It is the most southerly capital city in Europe. 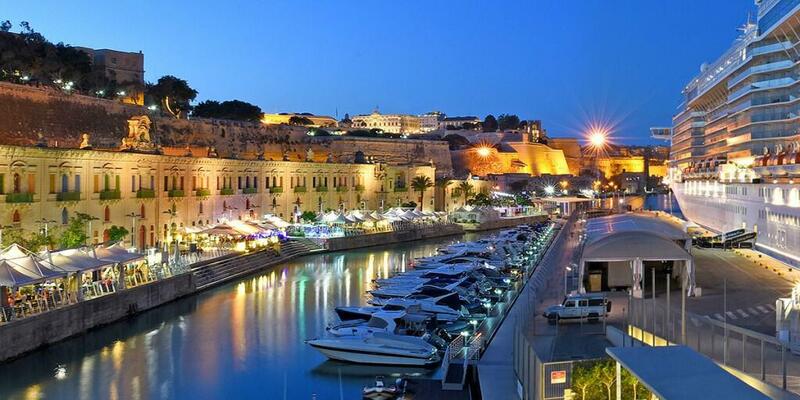 5) It is flanked by two harbours, the largest of which is the ‘Grand Harbour’. This is the deepest natural harbour in the Mediterranean. 6) It is a popular film set having appeared in World War Z, Murder on the Orient Express, Captain Philips and the TV Series Game of Thrones. 7) Valletta is on a tiny peninsula that is only 1km long by 600m wide. You could fit it into Hyde part…. Twice! 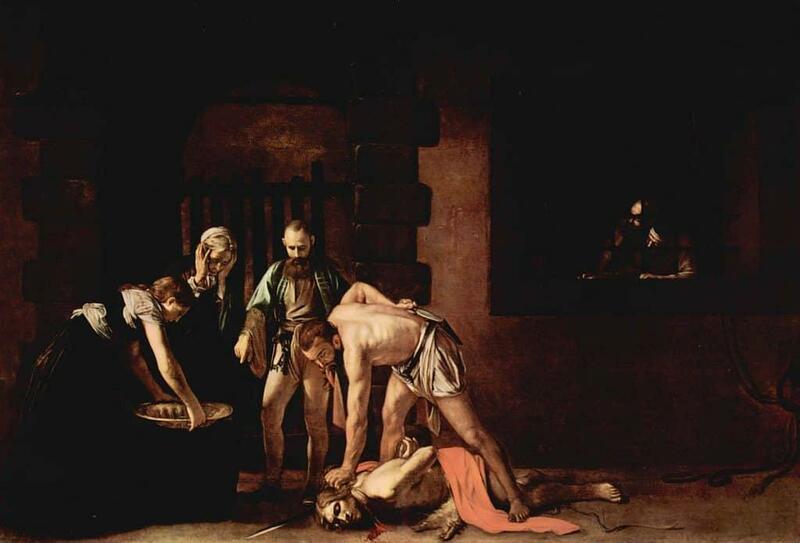 8) St John’s Cathedral in Valletta hosts the only signed painting by Caravaggio and the largest example of his work. 9) The city lays claim to being the first ever ‘planned’ city in Europe. It was sketched out in 1565 and built in just 15 years! Due to its small size, most people don’t actually stay in Valetta itself. Sliema is a popular place for tourists with its warren like streets, sweeping seafront promenades, countless bars and abundance of restaurants. 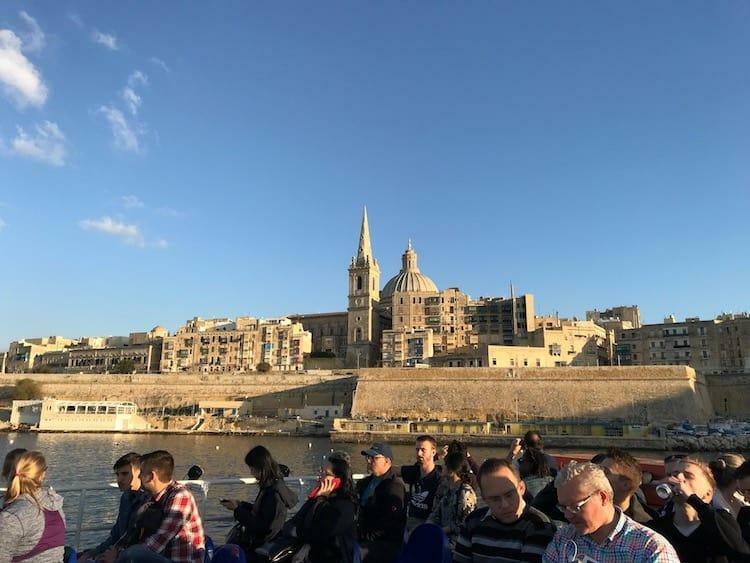 The best way to get to Valletta is by ferry (see the schedule here) and it makes a fantastic bookend to a day in Valletta. The journey across Maramxett harbour is breathtaking, with Valletta beckoning you across the water, urging you to step ashore and explore within the city walls. It is so well preserved as a historic city its so easy to imagine the millions of other people who’ve made the same journey across this water and seen exactly the same skyline as there is right now. There are no glass skyscrapers reflecting the morning rays here, just a concentration of honey coloured limestone buildings as there have been for nearly 500 years. There are few cities you get to experience for the first time in this way. So often the first impression of capital cities is a soulless car park or poorly maintained train station. Stepping in the footsteps of so many before you and walking up the steep streets into the centre is an experience that will live long in the memory. At the end of your trip, if you time it right, you’ll be heading back to Sliema with the sun setting just above Manoel Island. Make sure you get a seat on the left hand side of the boat so you have the best position for Insta-friendly snapping! There’s no getting around it, I can be a bit of a travel snob at times. Thankfully I have my beautiful wife Becca to keep me in check! 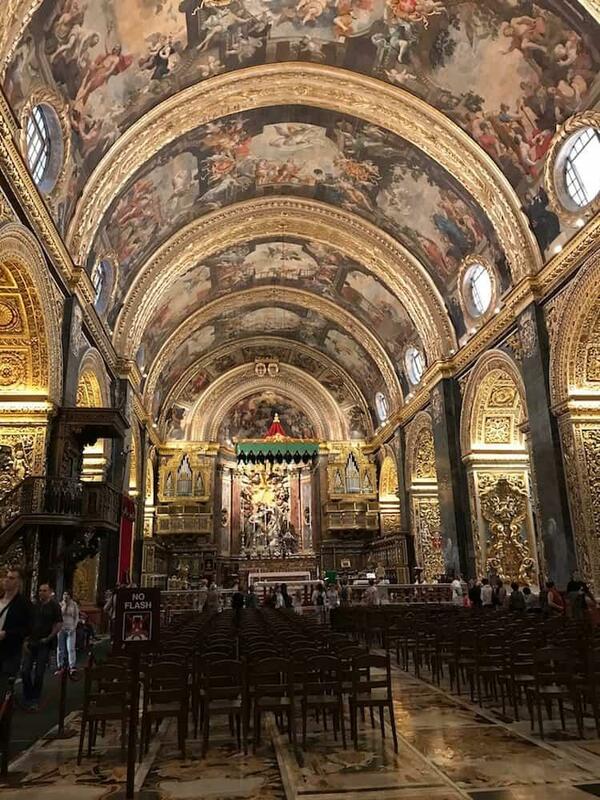 Two hours in to our time in Valletta we had seen nothing other than the inside of churches and historical buildings. On exiting St John’s Cathedral Becca’s eyes lit up, and after a rather one-sided negotiation (never try to win an argument with a girl who has Yorkshire blood!) 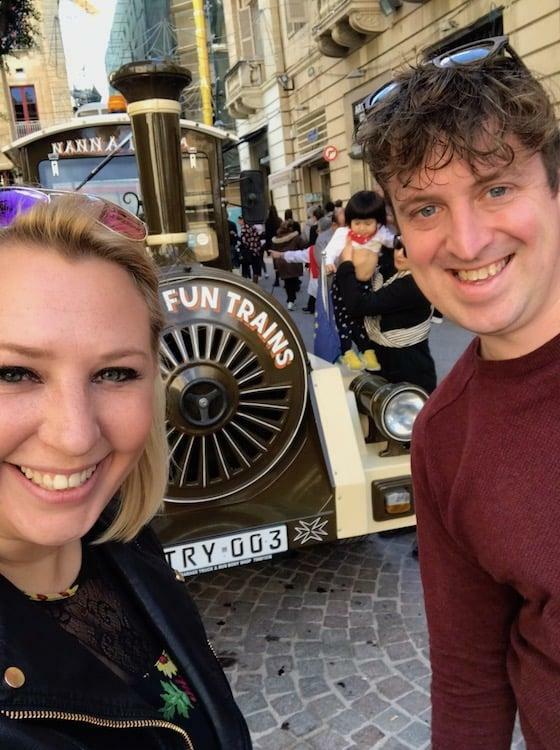 we were on the Valletta Tourist Train Tour. I did my best ‘I’m not having fun’ face for as long as I could hold it, but she can see straight through me! “You’re enjoying this aren’t you, go on, admit it” she said poking me in the ribs. 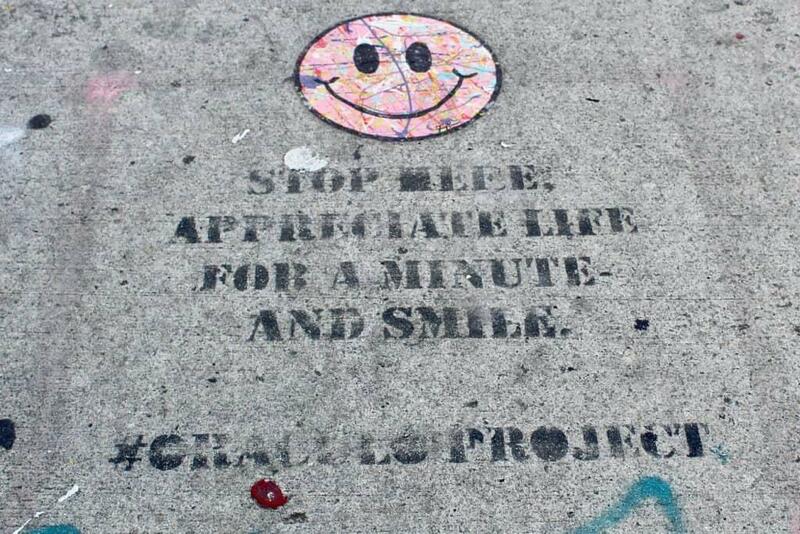 I let out a little smile! I really was! When we got back, I couldn’t hide the smiles any longer! It’s been a long time since I’ve done a tour like this and it’s an absolutely fantastic way to see a city. 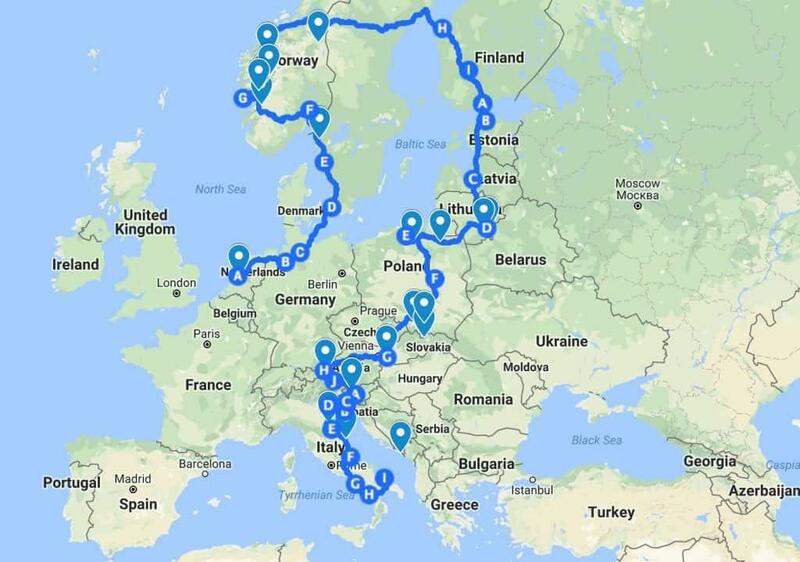 I wish we’d started with it to be honest, as it allowed us to get our bearings and get to places that would take alot longer on foot. The views from the south side over the Grand Harbour and Three Cities was absolutely stunning. The second we got off we headed straight in that direction! 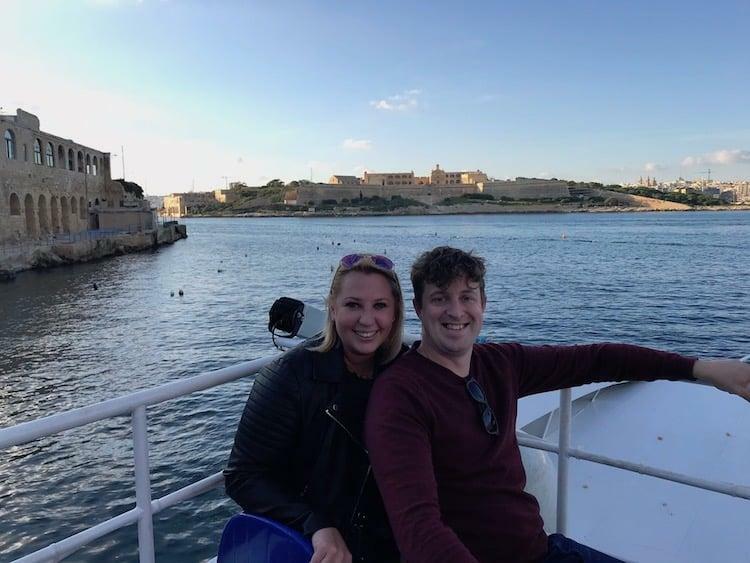 If you want a quick start to your time in Valletta that brings you the highlights of the city with a some history thrown in then I would throughly recommend a tour. It is a truly remarkable building, with a long history. On your way in you will be presented with an audio device which reveals the story behinds these walls. Amongst the hustle of tourists, nuns and guides it’s easy to feel hurried, but do your best to find your own space and try to take the scale and opulence in. Now I’m not going to lie, I always find extravagant places of worship like this a bit hard to stomach. It’s an incredible spectacle, but it needs to sit in context. 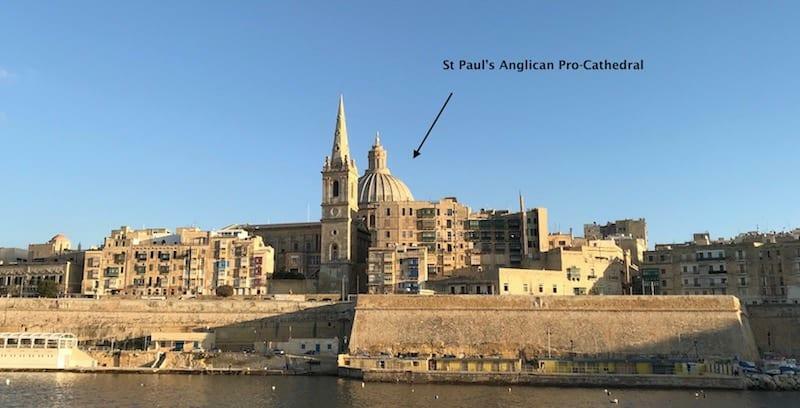 For me religion should be about humble gestures of kindness, more than exorbitant constructions of pomp, especially when they were built at a time of great hardship in Malta. But you’re certainly not going to feel let down by a visit here, so head in and form your own opinion. In a side chapel is house the iconic work of art ‘The Beheading of St John The Baptist’ by Michelangelo Caravaggio. Famed for the unique contrast of light within his paintings, this work was both his largest and the only one he signed. His signature can be found in the blood coming from the next of St John. St Paul’s Anglican Cathedral is the building that dominates the Valletta skyline and is central in all the classic photos of the city. With a bell tower and spire that rise over 60 metres it stands out as an iconic and historic element of the ancient city’s silhouette. 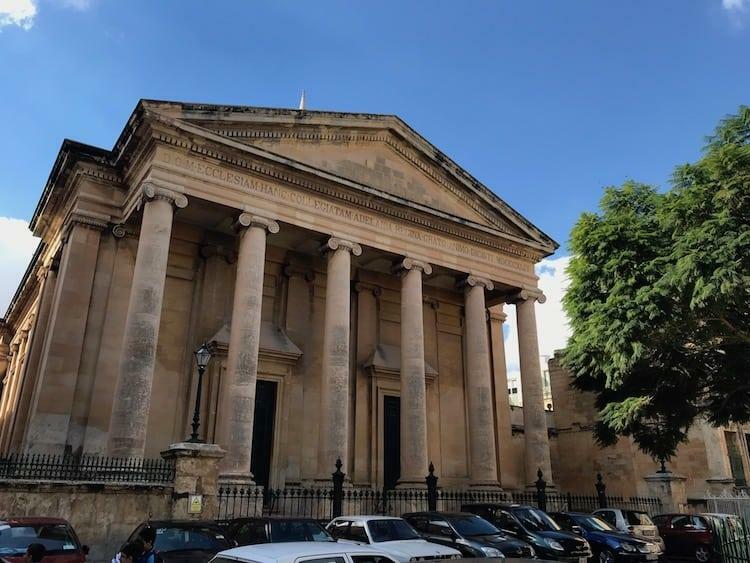 The church was commissioned by Queen Adelaide is 1838 when she found there was no main place of Anglican worship on Malta. She commissioned William Scamp, who had worked on the restoration on Windsor Castle, 1844. The Cathedral is designated a ‘Pro-Cathedral’, because it’s actually a church, but has been given Cathedral status. 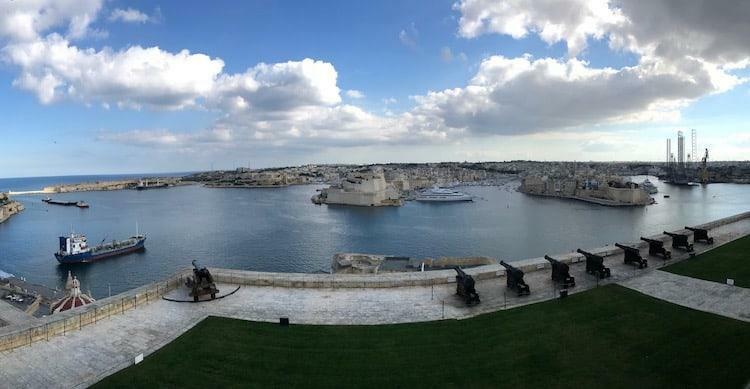 The Upper Barrakka gardens date back to 1661 when they were built as private gardens for the Knights of St John. The view is one of the best in Valletta, looking down over the the Grand Harbour (the deepest natural harbour in the Mediterranean) and the ‘Three Cities’ of Senglea, Virroriosa and Kalkara. Everyday at 1200 and 1600 cannons are fired from the Saluting Battery just below the gardens. The guns were originally there to protect Malta’s precious harbour from invading fleets, but then became a way for Ship’s Masters to sync their chronographs. If you want to learn more about the history check out this fantastic article at BaldHiker.com. 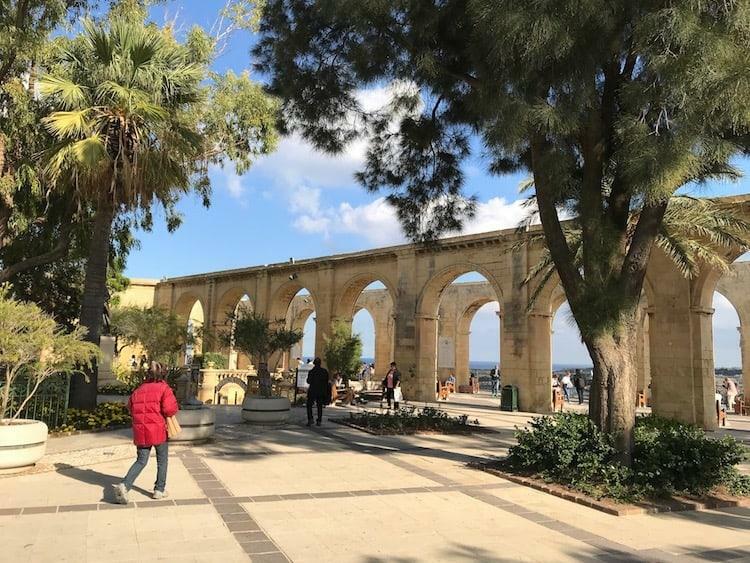 The Lower Barrakka Gardens overlook the mouth of the Grand Harbour, a perfect place to kick back in the sun and watch ships make there way out into the Mediterranean. They are about a 15 minute walk from the Upper Barrakka gardens with a walk down St Ursula Street, or you can use the amazing Barrakka Lift, which serves as an alternative for people wishing to find a quick route between central Valletta and the harbour. 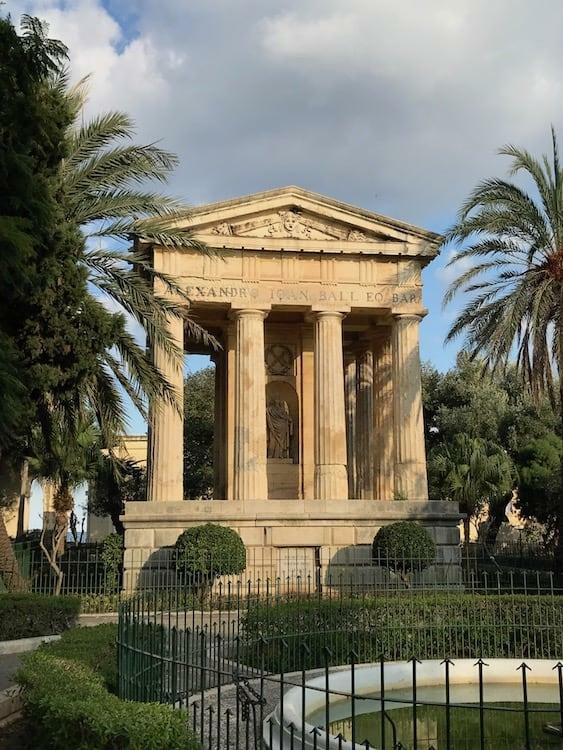 In the gardens you’ll find the Roman-esque monument to the first British Governor of Malta, Alexander Ball and the Siege Bell which serves as a reminder of the time Malta spent under fire during World War Two. Malta played a major part in the Second World War and is the only country in the world to have been awarded the George Cross to recognise ‘the heroism and devotion of its people’. 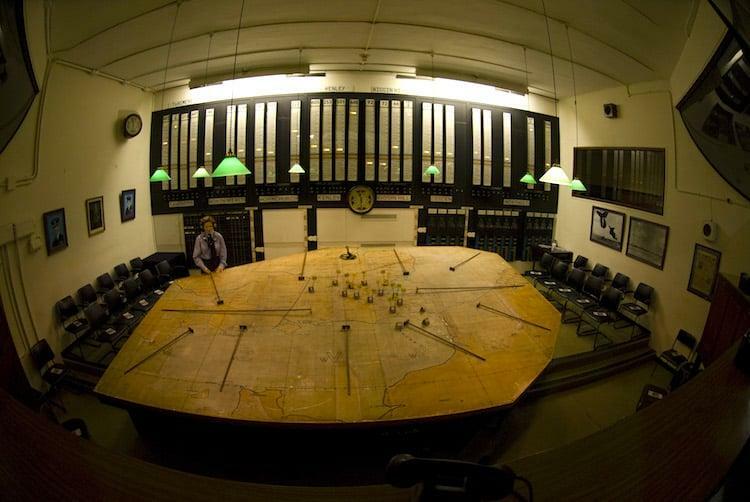 The Lascaris War are a secret underground bunker that was dug out in 1940 by the British and used in 1943 by General Eisenhower and his Supreme Commanders as their advance Allied HQ for Operation Husky – the Invasion of Sicily. Now they have been refurbished and form the Lascaris Was Rooms. Whilst there is not much to see here, it is more than made up for by the passionate and enthusiastic guides who really bring the place to life. They are 150 feet below the Upper Barrakka Gardens and are accessed near the garden’s entrance. If you decided to drop down the lift on your way between the Upper and Lower Barrakka Gardens you are likely to find Victoria Gate on the way. 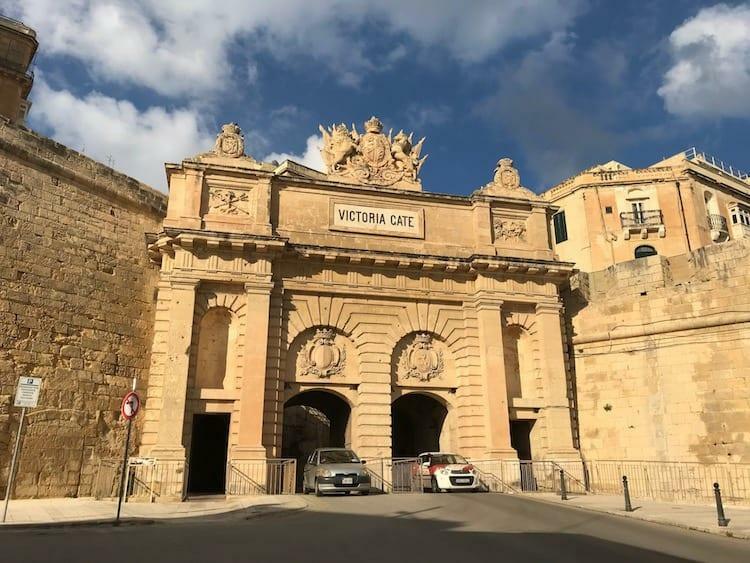 It is the only gate within the fortifications of Valletta to have survived, and is the main entranceway from the harbour into the city. It was built in the 19th Century, a long time after the city walls, but was designed to blend in perfectly with them. Somehow we managed to make it through the whole day in Valletta with only a small cafe stop off! If you’re looking for great places to eat I’ve pulled a few articles from the internet to help you plan and added the best of them to the map at the top of this post. 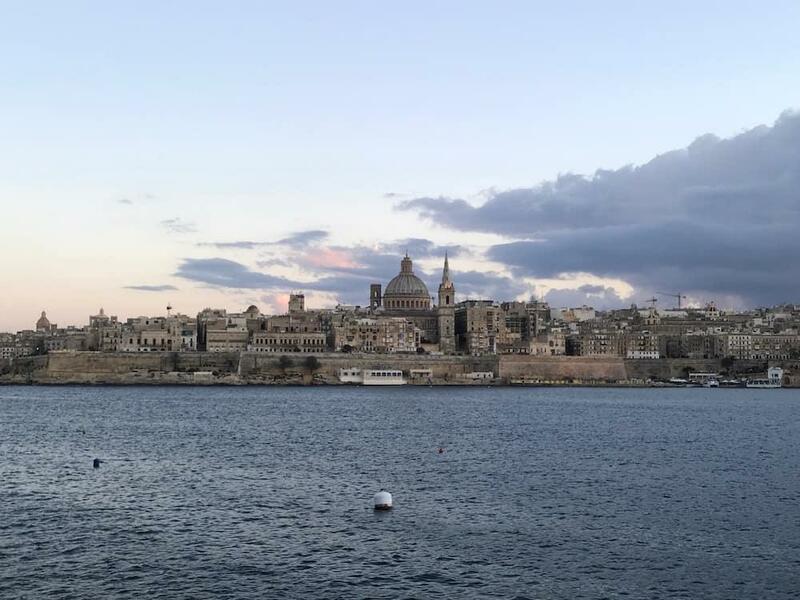 If you’ve got the time to walk a bit further then heading over to the Valletta waterfront on the far side of the peninsula to Sliema is a great choice. Built into restored 250 year old warehouses the waterfront looks out over the Grand Harbour and is the entry point for many of the cruise ships that come to Malta. There are restaurants to cater for every need, from Mediterranean to Cantonese and the obligatory Hard Rock Cafe! Find out more information at VallettaWaterfront.com. The Malta Independent | Touring Valletta as a Film Set – A walking guide to the top movie filming sites in Valletta. Drone Tour of Valletta – A love these drone tour videos, it gives a whole different angle on a place. This one is particularly good with a bit of information and history alongside the stunning HD pictures. Malta Travel Guide – My full guide to the island of Malta. What a great post! This is a very good guide. I am not planning on going to Malta anytime soon, but it has been high on my list for a while. Maybe I could take a trip this autumn, because your post has once again confirmed to me that it’s worth visiting.